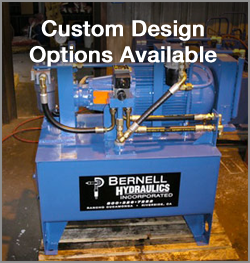 Bernell Hydraulics is your best resource for Parker hydraulic pumps Riverside CA. We can not only offer you a wide selection of authentic Parker products, but also provide the knowledge needed to help you choose intelligently among these products and the skilled technicians to install them for you. No matter what type of pump or pump accessories you may need, we can help. You can trust us to provide only the finest Parker hydraulic pumps Riverside CA. As an authorized ParkerStore, we carry authentic, factory-certified pumps and accessories. We also have access to the Parker technical information and factory support needed to work on these products. Parker has along had a reputation as an industry leader in the hydraulic parts design and manufacturing industry. Their pumps have been specially designed to provide maximum power and efficiency, and then rigorously tested to ensure they can deliver everything they promise. You’ll also be able to reap the benefits of Parker’s history of innovation when purchasing their pumps. New models are always coming out with new features like extremely precise, digital flow and pressure control capabilities. If you’re interested about learning about the latest pumps and features from Parker, just visit one of Bernell Hydraulics’ ParkerStores and speak to a hydraulic parts expert.